Violent Crimes investigators have charged a 17-year-old male with aggravated assault with a deadly weapon after he allegedly shot another teen in the parking lot of Atascocita High School Thursday night. According to reports from HCSO, on Thursday, January, 31, 2019, Humble Independent School District Police and HCSO District 2 patrol units responded to shots-fired call at Atascocita High School at around 6:15p.m. Witnesses told officers a 16-year-old male had sustained a non-life threating gunshot wound to the foot. 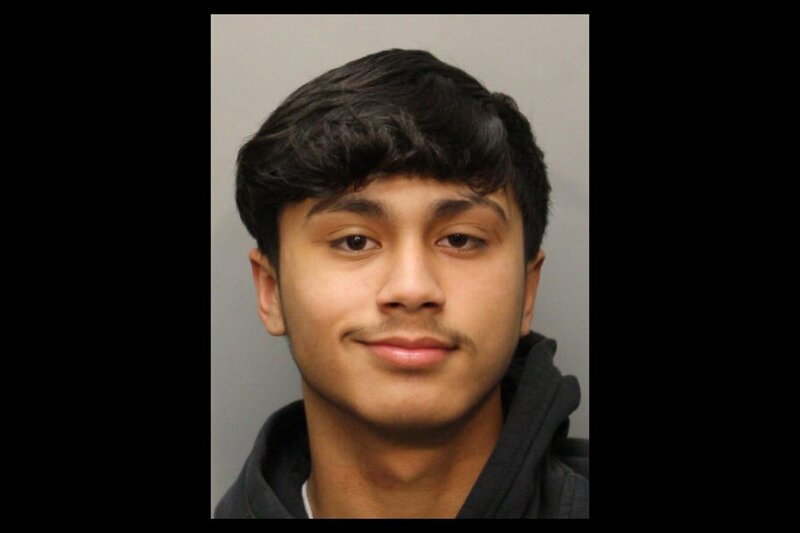 They also said a male, now identified as 17-year-old Mikael Neciosup from Atascocita, shot him while he was attempting to buy a small amount of marijuana from Neciosup. Neciosup and another male fled the scene in a red colored, early model, Chevrolet Impala. Violent Crimes investigators were able to track Neciosup to a home were he was arrested without incident. Investigators were able to recover evidence that linked him to the shooting at his residence. He is currently in the Harris County Sheriff's Office Detention Facility on a no bond. What a smug little ******! I wonder if that's his mugshot or his school ID pic...the dude is smiling. @Sammee : Gray background mugshot is my guess😂😂 I guess we will see how OG he is. He needs to go to county. Introduce him to his new friends if he doesn't change his ways. It's his mugshot. What a little ********. @yomom : what is og? @Yep : Original Gansta it's the term the kids use , they think their tough and bad. He looks happy with himself, his actions and his current station in life. @Yep : Road to success! He's going to be rich ya know. Listen, don't beat yourself up that you can't be an OG of Atascocita. That is his mug shot for real. OG needs a new haircut. Looks like a mushroom tip. @FrodoBaggins : That is a bowl cut. Sammee : Gray background mugshot is my guess😂😂 I guess we will see how OG he is. He needs to go to county. Introduce him to his new friends if he doesn't change his ways. They are going to send him to TDCJ and is no way near an OG. They don't exist anymore and are retired. I think he would like GREAT with a MAGA cap. Seriously. @RocketsHouston : Original ie retired. Good observation, he's an imposter. These kids watch a gangster movie and want to act all tough in a good neighborhood. An OG lived in a really bad neighborhood and had no choice to live on the streets and hustle his way to the top.